City management is where T.C. Broadnax, ba ’91, decided he wanted to make a difference when he was attending Washburn. 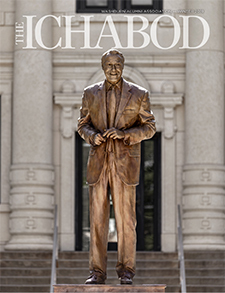 The former Ichabod basketball player has elevated himself to one of the highest levels in that field. Broadnax became city manager of Dallas, Texas, on Feb. 1. It’s a Texas-sized move for a Topeka native who has worked throughout the country. In his new position, he oversees 13,000 city employees and a $3.2 billion budget in a city of 1.3 million people – the ninth largest in the United States and the third largest to use the city manager model. “The opportunity to lead a city and transform an organization into a true public service machine attracted me to this job,” Broadnax said. Broadnax, 48, credits support from both the athletic and academic sides of Washburn with pushing him into the leadership roles he’s taken. He was a point guard on Bob Chipman’s teams from 1988-90, and he considered that role an extension of the coach. He’s taken many basketball lessons into his professional life. Teammate Romy Anderson, bs ’96, is a juvenile probation officer in Denton, Texas, and a resident of Dallas. He was not surprised when he learned Broadnax would be leading his city. Broadnax said the basketball community, athletic department and professors like Loran Smith and Frank Chorba gave him a great support system. 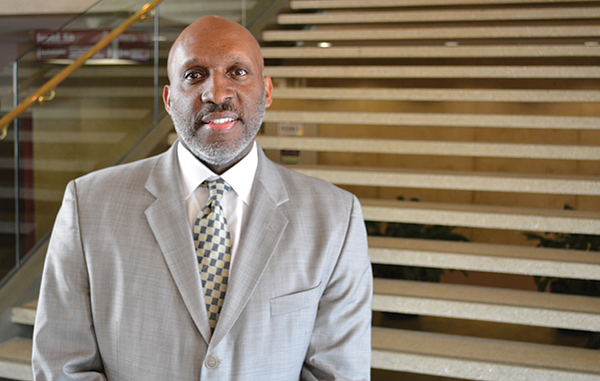 Smith, formerly a Washburn political science professor, persuaded Broadnax to earn a political science degree in addition to his communications degree. A chance meeting with Washburn’s former dean of students, Meredith Kidd, provided more support and a mentor for Broadnax. Kidd was a big basketball fan, and the two became friends. After Washburn, Broadnax got a master of public administration from the University of North Texas in 1993 and started his career with jobs in Texas and Florida. He came back to Texas in 2006 as assistant city manager in San Antonio. He became Tacoma, Washington, city manager in 2012 before coming to Dallas. Early tasks include hiring a police chief, working through pension and street issues and finding more funding for infrastructure. He loves how hands on and direct city government is. “It is definitely where the rubber meets the road. I appreciate the federal and state levels, but if you really want to understand and impact peoples’ lives in a real positive and direct way, local government is the place where you would want to spend your time, and that is one of the reasons why I chose this profession. In some cases, sitting in my seat, I’m the voice for people who don’t often have a voice. It’s an immense responsibility, and I’m humbled and honored to have been selected for it.